鈥?If a floral soft shirt dress is your go-to look, this will be your go-to dress. 鈥?Step out in sophisticated style with this flowy comfortable shirt dress in a vintage-inspired floral print. 鈥?A glorious garden's worth of flowers blooms beautifully on this floral dots dress that ties at the waist. 鈥?Stylish dots design all around lend smart gleam to a floral stretchable shirt dress darted for a feminine silhouette. 鈥?This time in the vintage form shirt dress with matching tie belt takes you stylishly from work to weekend. 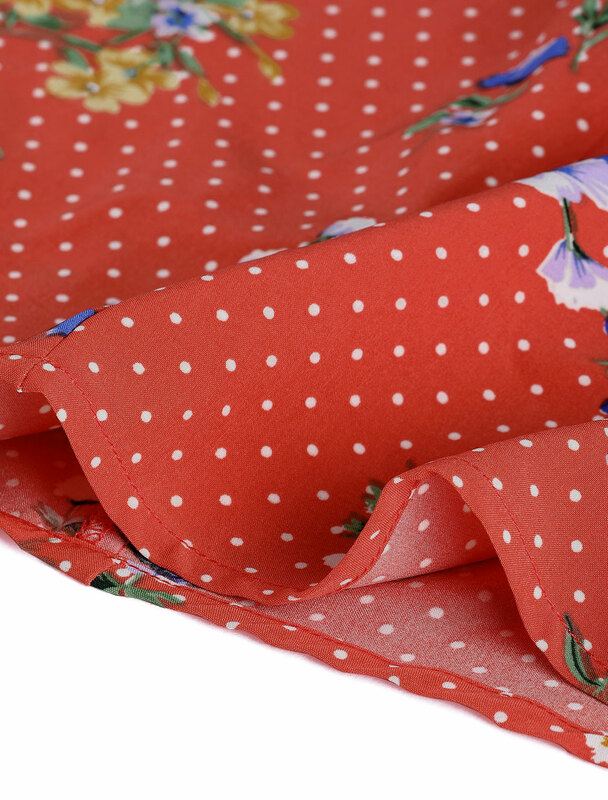 鈥?A slender tie cinches the waist of a chic shirtdress patterned with a beautiful floral print for a dash of romance. 鈥?Fresh sprigs floating atop classical dots floral pattern a crisp stretchy frock styled with a matching belt that gives flattering shape to charming silhouette.